The Clicgear® Model 8.0 Wheel Cover help you keep your trunk clean. 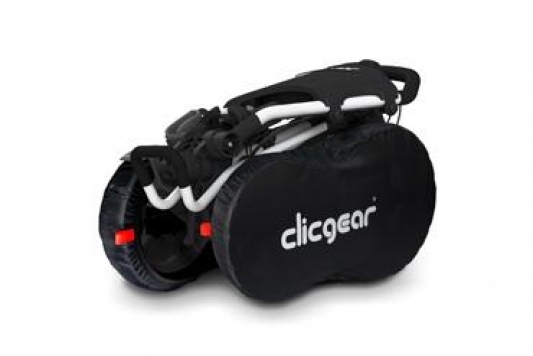 The Clicgear® Model 8.0 Wheel Cover is made from water resistant polyester with elastic closure to easily fit over the four folded wheels for storage. It’s great for off-season storage, or keeping the back of your vehicle clean between games. The Clicgear Model 8.0 Wheel Cover fits the Model 8.0 cart only.